Stay up to date with all the latest videos we post related to the services we provide and the technologies we deal in. 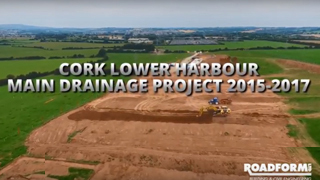 Roadform Ltd carried out the bulk excavation works required for the new wastewater treatment plant at the Cork Lower Harbour Main Drainage Poject which consisted of 45,000m2 of topsoil stripping and a bulk dig of 36,000m3. The complete sequence of works from start to finish. 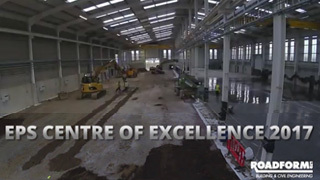 Roadform Ltd Building & Civil Engineering Contractors. 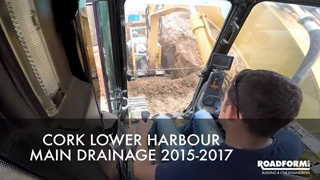 Cat 330DL excavating up to 7 metres deep using dragbox to lay 900mm concrete pipes for a sewer pipeline on Cork Lower Harbour Main Drainage Project. 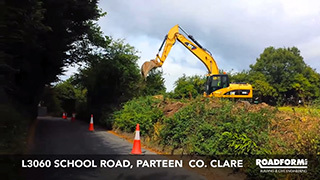 Construction work for a Road Realignment/Improvement Project in Parteen, Co Clare. 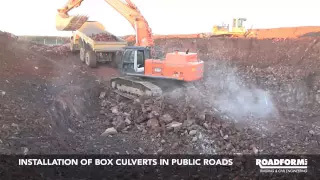 Civils Contract for the construction of Fullabrook Wind Farm, Devon, United Kingdom. A 22 turbine 66MW Wind Farm. 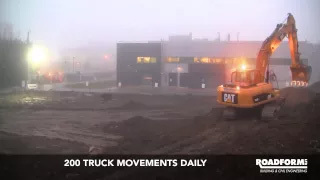 Bulk excavation of 25000m3 of soil and disposal off site for a Pharmaceutical Project in Blanchardstown, Dublin as part of an Enabling Works Contract for future development.